Have you heard? We like to party. And we want you to come party with us. Help us celebrate this slightly warmer weather (yay!!) 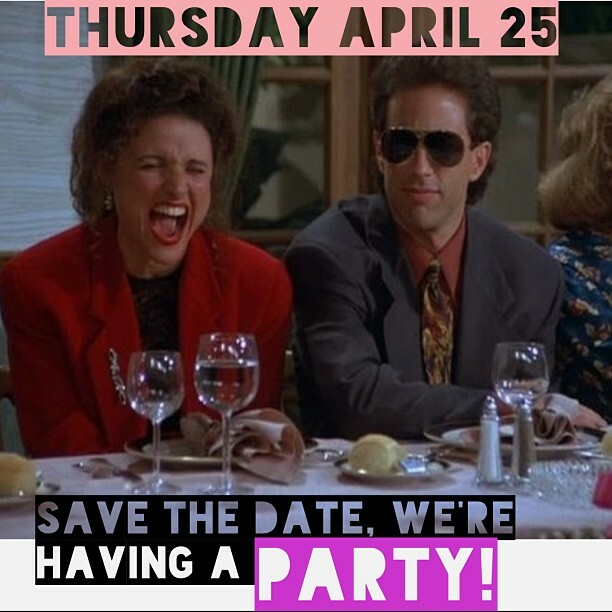 and welcome the long overdue new season at our "We Want Spring" Party on Thursday April 25th from 7pm - 11pm at the shop. Join us and our lovely co-host Odessa Paloma Parker for a drinky or two, nail art by Toronto's best, Pinkys Nails, and a special one night only discount in the shop! We will also be using the occasion to celebrate the launch of Toronto designer Sarah Donofrio's gorgeous spring blouse collection! Sarah has been with us from the beginning, and we are so thrilled to have her stunning pieces in the shop for another season. If the long-sleeve version from last fall is any indication, those Zebra blouses will go fast. You can check out some of the beautiful new collection below. Pics by the lovely and talented Jen Squires. You can RSVP to the event on Facbook and bring your friends! Hope to see you there!